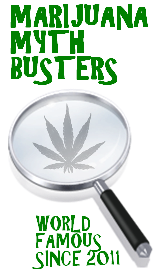 This entry was posted by Mythbuster on April 18, 2013 at 11:13 pm, and is filed under General Ganja. Follow any responses to this post through RSS 2.0.You can leave a response or trackback from your own site. Help Us Name the New Section of Our Site!!! Cinco de Mayo!! Green Dragon Recipe!! Weed Tea… Made from the best stuff on Earth!